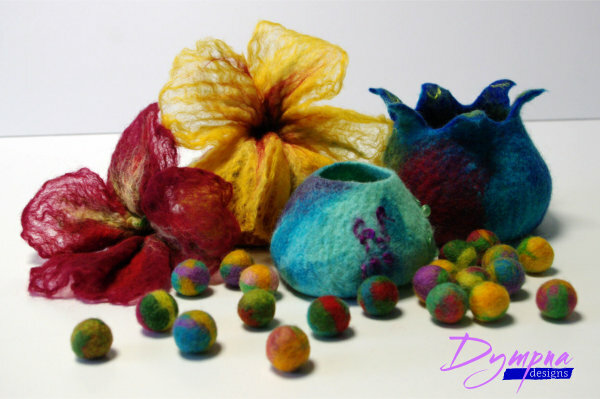 My name is Dympna Curran and I am a textile designer-maker working from my home studio in the Ards Peninsula. I graduated from University of Ulster in 1997 with BA Honours degree in Textiles and Fashion Design and now produce my own handmade textiles and accessories using a combination of wool and my hand dyed silk. Everything is handmade by myself in my studio – I am a self-proclaimed fusspot and put every effort into creating each piece with as much love, care and attention to detail as I can. I was born in Kircubbin on the coast of Strangford Lough and am fortunate to have remained in this beautiful part of the country. 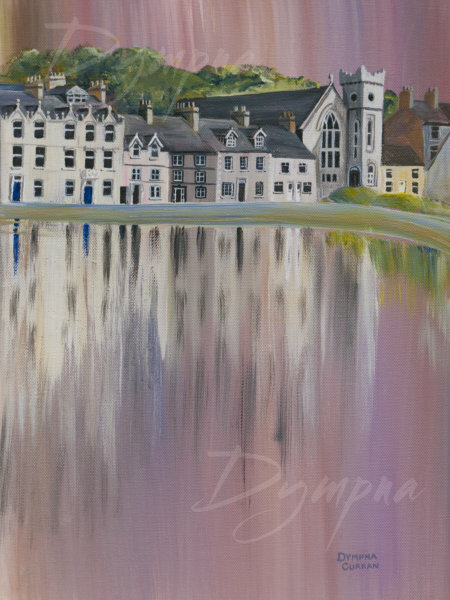 My inspiration is drawn from the beauty of the lough and the surrounding countryside. 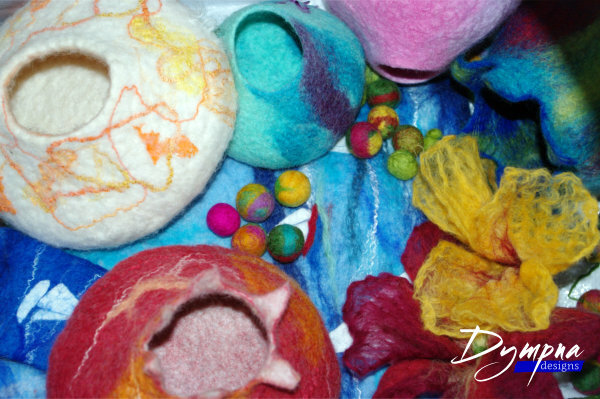 My felt work is primarily about colour and pattern. 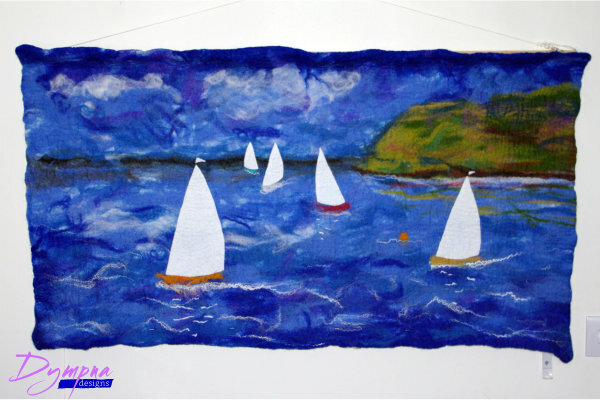 I find that the wool fibre has unlimited possibilities and directly relates to my experience and knowledge of painting and textile printing and passion for pattern. 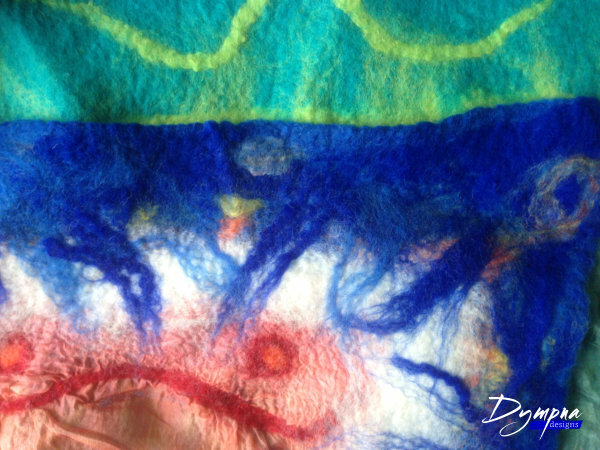 I enjoy exploring the physical process in making felt, as well as the materials used. Whether I am working with wool, cloth, stitches, yarn, or dyes, I always feel excited watching the magical progression from a tiny fiber of wool to a decorative fabric. 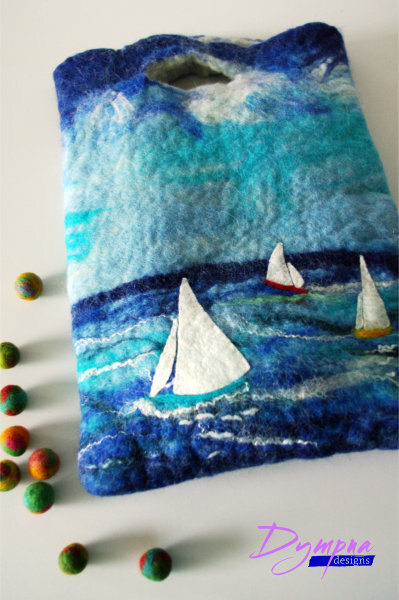 I make one-of-a-kind wall hangings, items for the home, vessels, wearables and accessories and I also enjoy teaching felting in my studio on the Ards Peninsula. 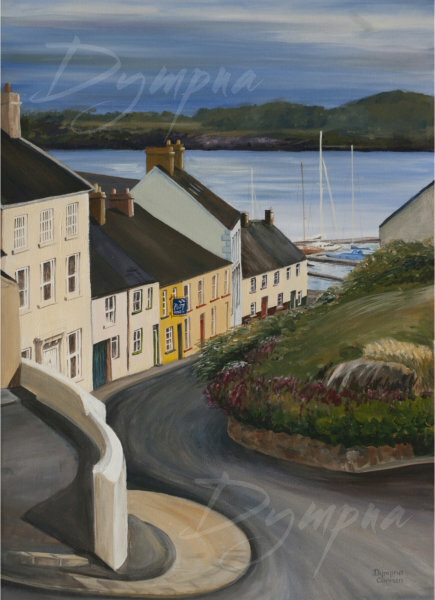 My work has been exhibited in Belfast, London, Harrogate, Dublin, Donegal, Newtownards and Portaferry.